Facing a competitive landscape ranging from Uber Eats to in-store meal kits, from global organic imports to cheap chain restaurants in every town, how can local farmers not only survive, but thrive in the coming decade? Farming consultant Ellen Polishuk will offer some answers to the questions we all struggle with: What the heck kind of business are we in, and how can we navigate ever-changing trends? Moreover, why is it so hard to make a profit in farming, and how can we do our best to ensure our success? Ellen Polishuk is a biological farm consultant and teacher who helps growers around the country improve their soils, their labor management practices and their businesses so that they can increase farm profits and achieve a joyful balanced life. Ellen has 35 years of farming experience under her belt and now devotes herself full time to teaching and consulting other growers. Raised in the suburbs of Washington DC, Ellen discovered farming at an early age, and took that passion to Virginia Tech where she earned a BS in Horticulture. 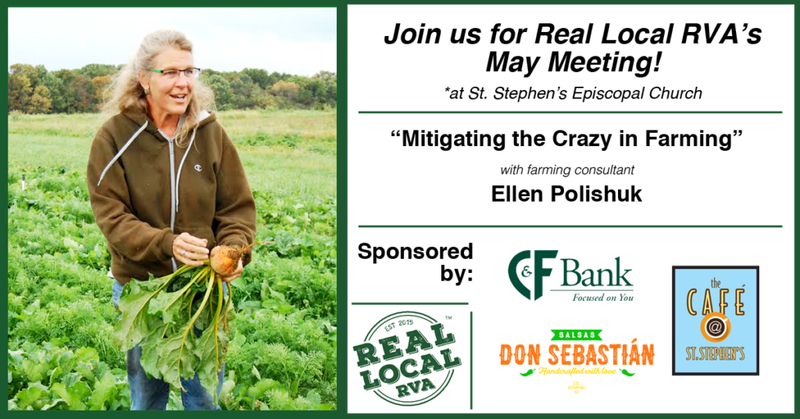 After 4 years in vegetable seed research in California and active member of the Committee for Sustainable Agriculture, Ellen returned to Virginia to become one of three owners of Potomac Vegetable Farms, where she worked for 25 years. Now a full time farmer coach, Ellen works with farmers on production practices, labor management, soil testing and fertilizer recommendations, and marketing. She also speaks at conferences and meetings around the country on numerous agricultural topics. 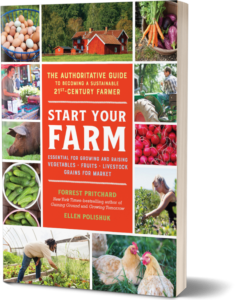 Ellen will have copies of her new book, Start Your Farm, that she co-wrote with Virginia farmer Forrest Pritchard available at the meeting. We’ll taste samples of delicious salsa from Salsas don Sebastian and enjoy coffee from the Cafe at St. Stephen’s. Thanks to C&F Bank for being our meeting sponsor!